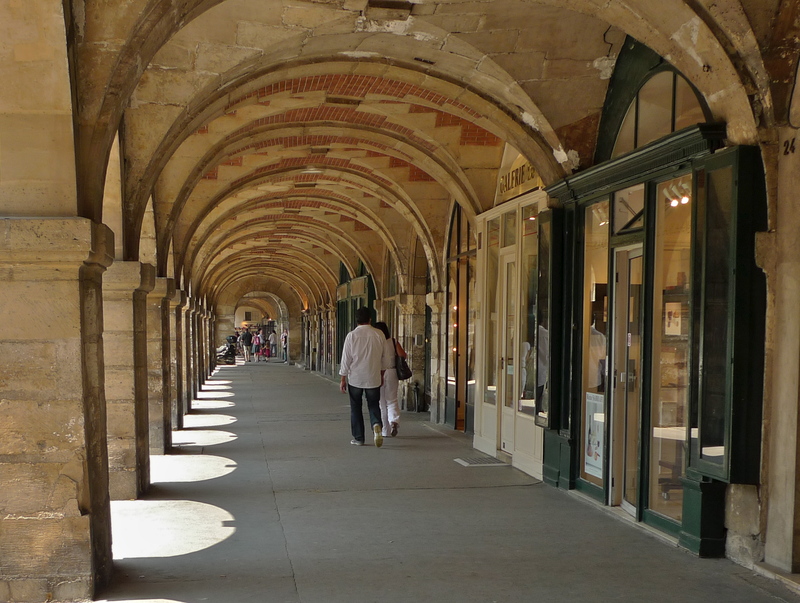 THE PLACE DES VOSGES is a square of perfect symmetry. Comprising thirty-six grand houses, nine on each side, with deep slate roofs with dormer windows over brick and stone arcades – the Place des Vosges is a Parisian treasure. The Place des Vosges dates back to King Henry IV and the Grand Siècle. Henry was somewhat of a city planner and his original idea for the Place Royale as it was then called was to use the shell of the old Tournelles palace in the Marais as a site in which to develop a silk industry which could, he hoped, combat the Italians and boost the domestic economy. But his scheme quickly took on a different life. With the aid of his Chief Minister, Sully, the idea of providing a workers’ village in the Place was transformed into creating an elegant urban square dominated by the aristocracy. 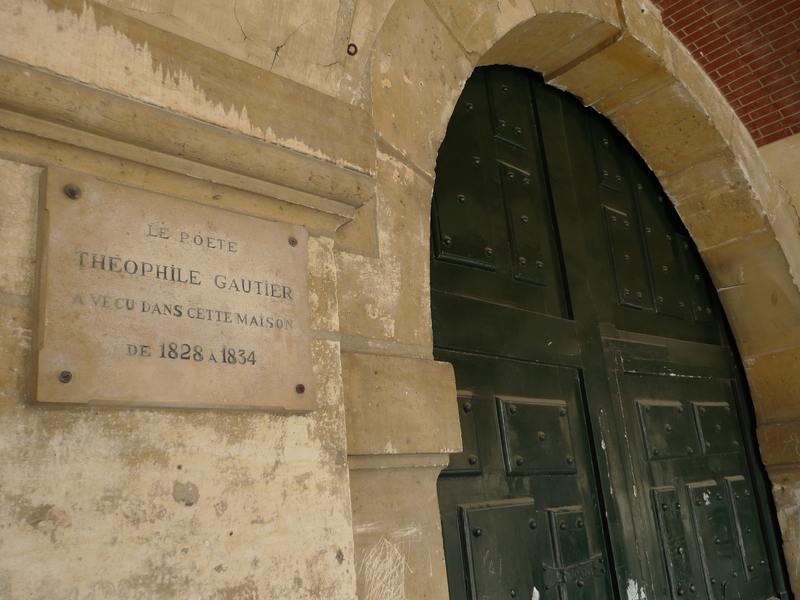 The famous literary hostess, Madame de Séveigné, was born here in 1626, Cardinal Richelieu stayed here in 1615, the poet Théophile Gautier and the writer Victor Hugo both lived here in the nineteenth-century. I find the Place des Vosges attractive at any time of the year but it is in the summer when the tourists flock to this space. As well as the architecture, the green space in the centre and the history, the tourists can also enjoy the up-market street music. 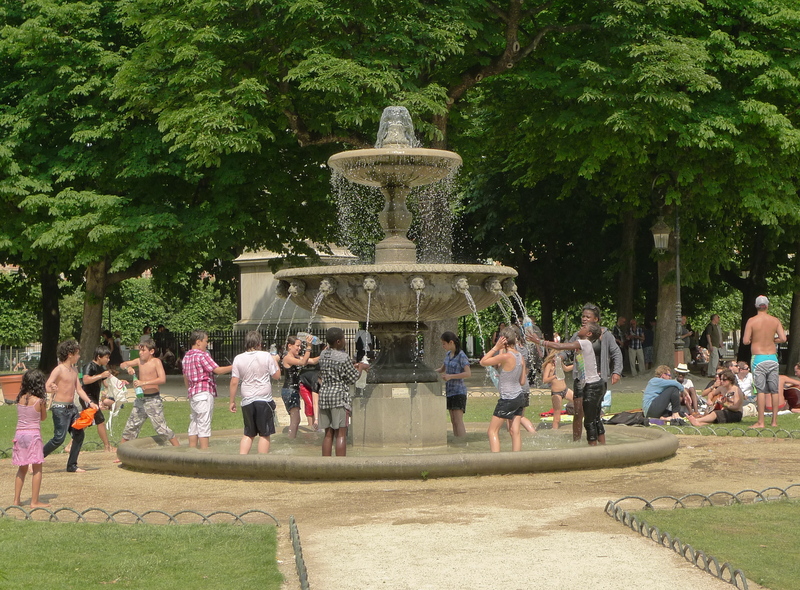 The Place des Vosges boasts the aristocracy of street musicians in Paris. On Saturday and Sunday afternoons, especially in the summer, classically trained musicians, including opera singers and classical instrumentalists of the highest standard, perform here for free. But even in the winter – on a cold Saturday in January – excellent street music can be found. A couple of weeks ago I was in the Place des Vosges hunting for interesting sounds. I started recording as I was walking around the Place with no particular objective in mind – and then I came across this – a walk under the arcade arches, past the front of a café and then, further on, three musicians, a bass player, a guitarist and an accordionist, playing to an audience of one – me! What impressed me was that they were playing music because they thoroughly enjoyed playing music – audience or no audience. I hope you enjoy the sounds and the enthusiasm of the musicians as much as I do. I couldn’t help feeling that the ghosts of Madame de Séveigné, Théophile Gautier and Victor Hugo were enjoying it too – but what would Cardinal Richelieu make of it? What a lovely little walk, you should make travel “movies” for blind people! It is great how you are able to isolate any clothes rustling and foot-steps so it feels like one is floating through the scene.